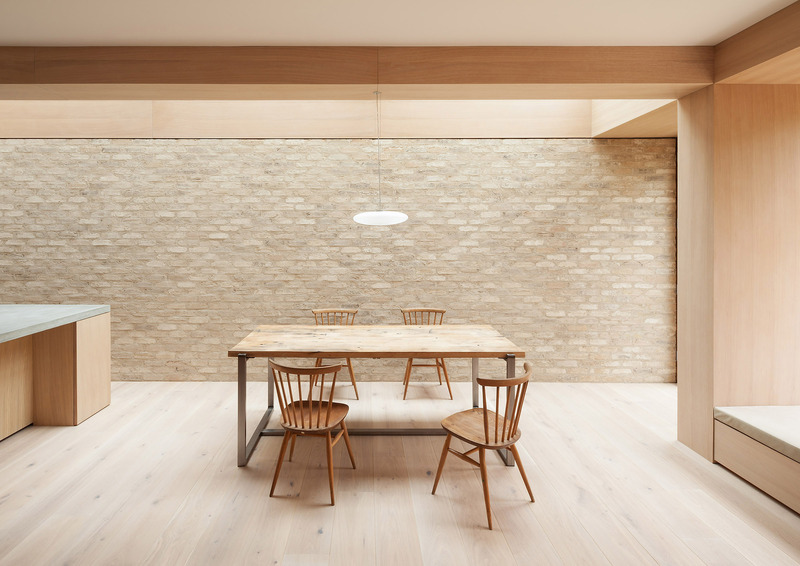 Situated on a quiet residential street in Crouch End, the house is the home of a family with two children. 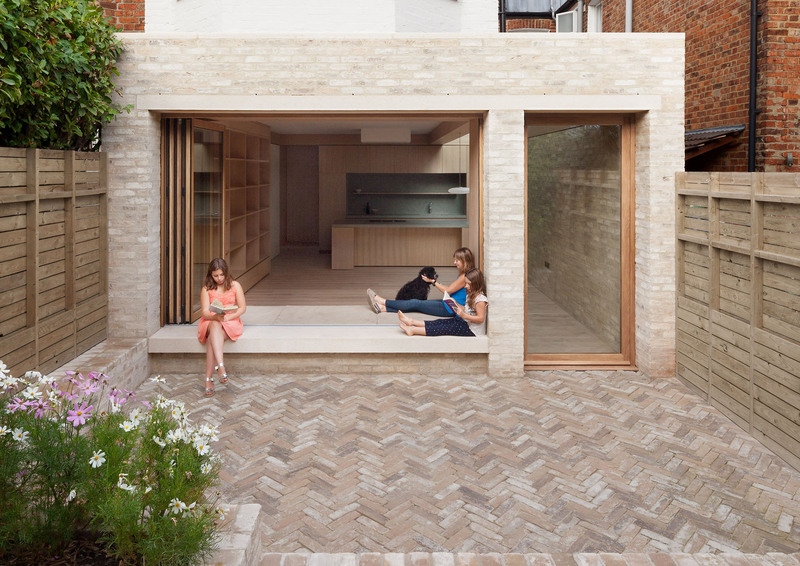 The former ground floor layout was biased towards the front of the house, resulting in undefined open spaces, mainly oriented towards the street and a neighbouring infill extension. 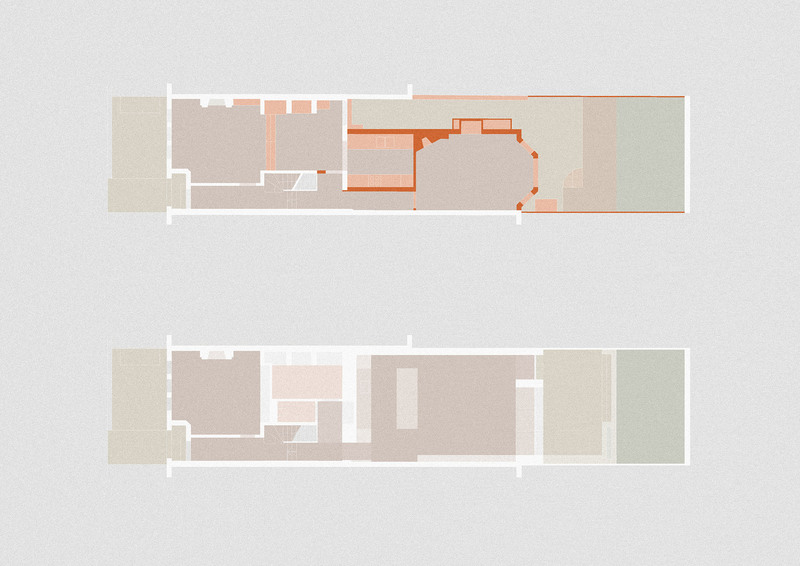 The re-structured and enlarged floor plan inverts this situation by refocusing the attention towards the garden. 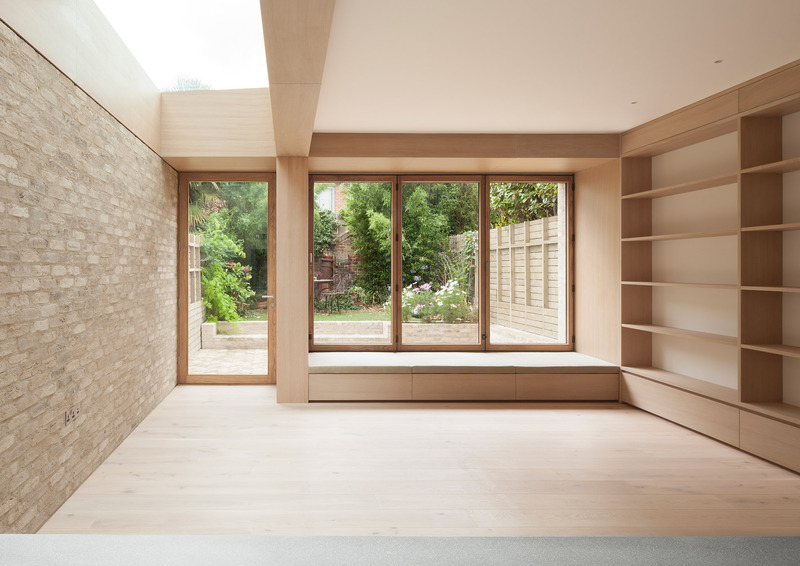 The deep plan was maximised by creating two complimentary living spaces - an active rear ‘garden room’ and a calm, enclosed drawing room - whilst providing ancillary functions in the darker central area of the plan. 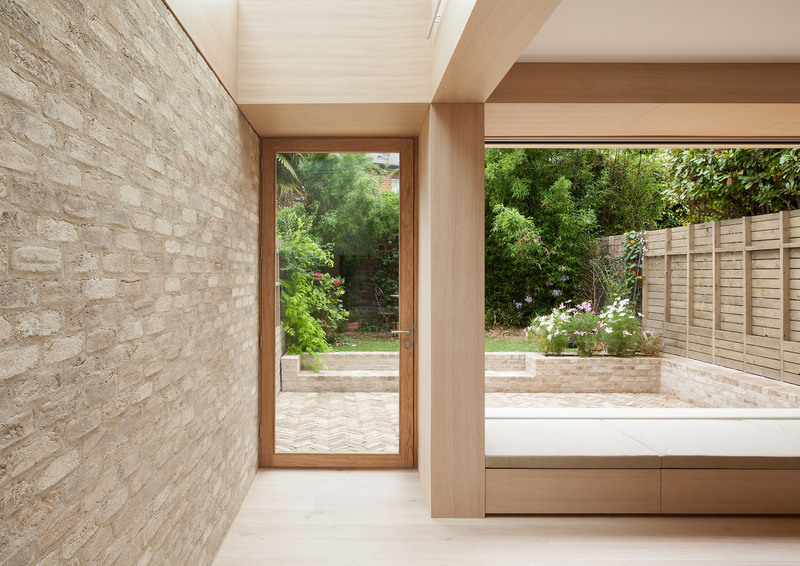 The new ‘garden room’ houses the kitchen, dining and play area, with a deep upholstered bench along a folding oak framed window. 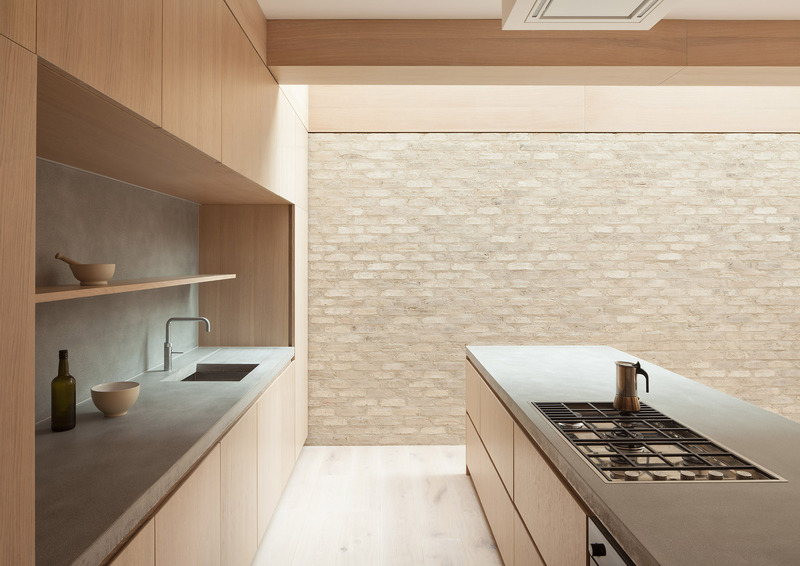 The space is tectonically defined by the new oak-clad structural elements which bear the load of the floor above. 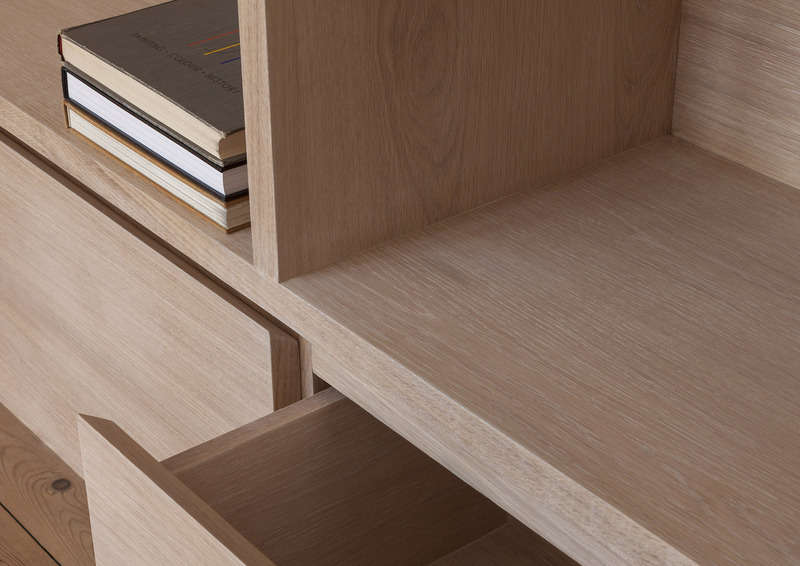 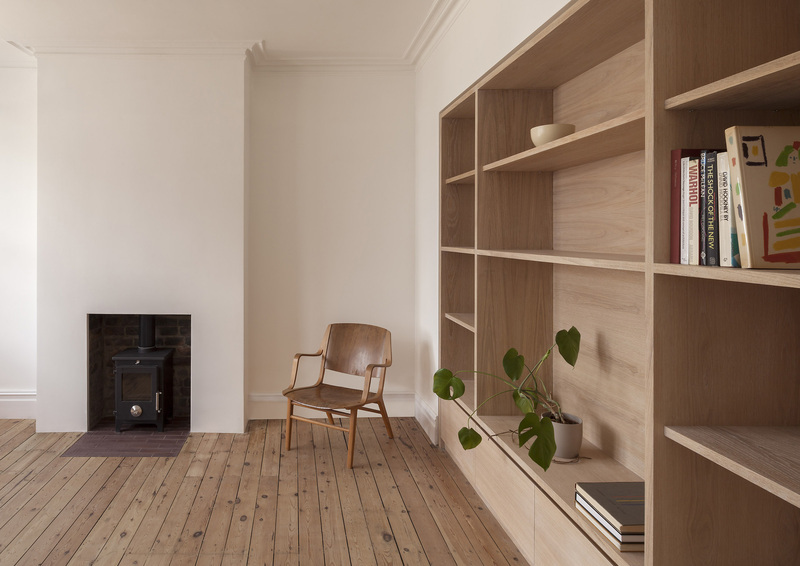 These structural elements blend with the built-in oak furniture to define a simple and ordered space.